A stylish custom house sign can create an eye-catching effect for your home’s exterior. House signs are used most commonly to show a house number or name, and can also be used to show different areas on larger properties. The impression you choose to give is up to you – modern, creative, vintage… you can mix and match different mediums and fonts to get the perfect end result for your abode. 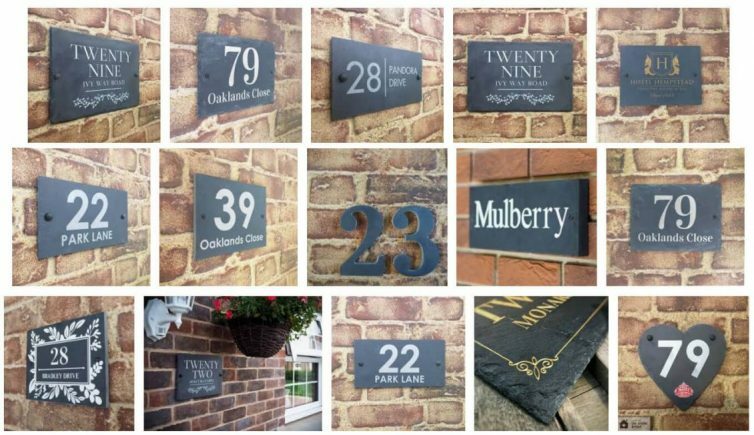 In this article we will be looking at six different types of house sign you can use as a base to work from – including some moodboards. Brickwork and slate signs go hand-in-hand – creating a mood that is natural and stylish, with vintage simplicity at its heart. Slate house signs are great for a number of reasons, they are durable and long-lasting, as well as clear and easy to read. Acrylic gives you a wide range of colours and styles that you don’t get with other mediums. If you want to create something eye-popping or in a specific colour, acrylic could be the way to go. Acrylic is one of the most popular choices for signs for both home and business due to its clean and modern look. Wooden signs can give your home a touch of vintage class. 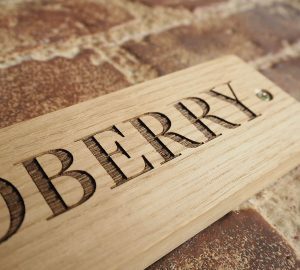 Wooden signs bring to mind bespoke, premium quality craftsmanship. 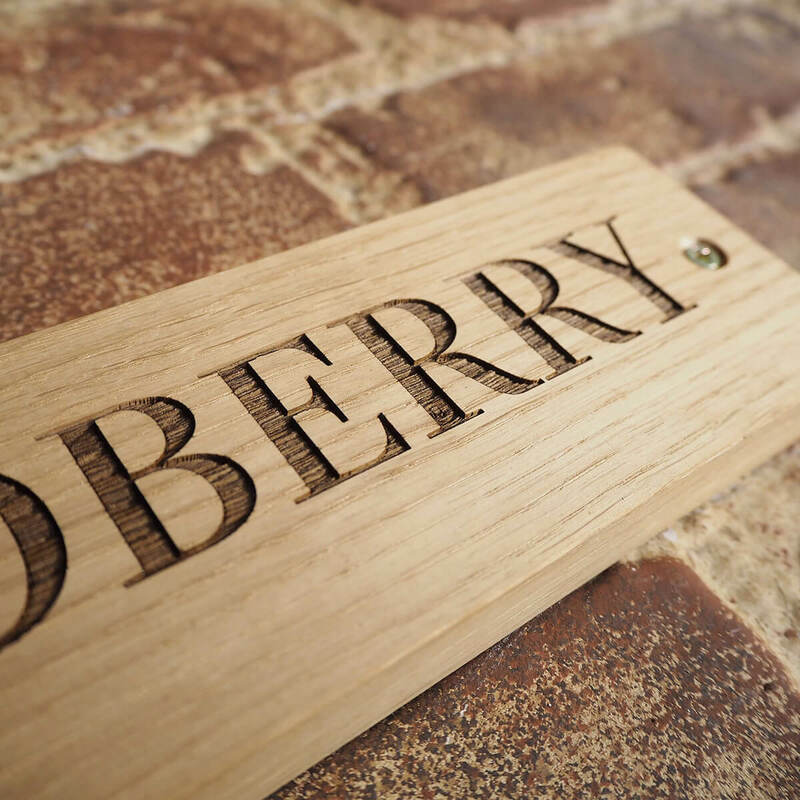 Just check out the image above, of the “Woodberry” range from UK Signs to see what we mean. An aluminium sign can give your home-front a modern touch. Metallic signs can look expensive, so they can look just as great on older buildings as new ones. Corian is a material used by architects, which is clear, easy to read, as well as being strong and durable. Combined with precision cutting tools you can create an incredible house sign using Corian. 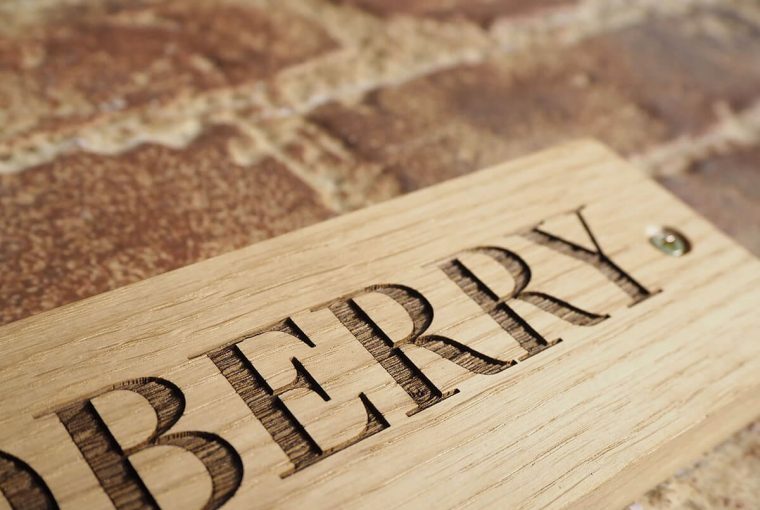 Village Green Signs are made from durable resin, they are a cheaper alternative to cast-iron that never rusts. 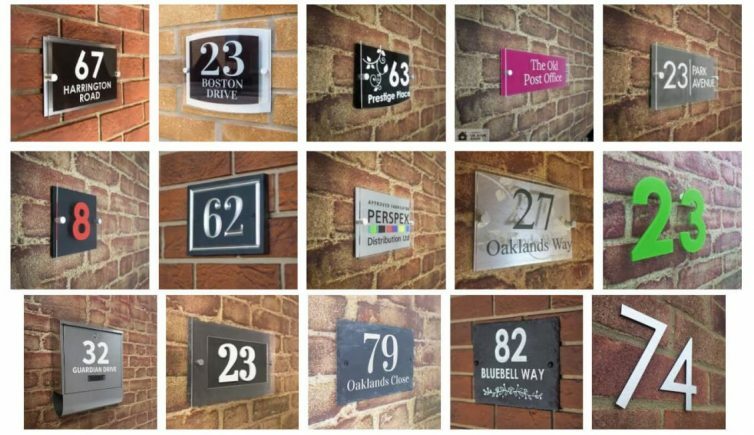 For this article we worked with UK Sign Shop, who kindly provided images and talked us through the different types of house signs they had available. You can read a quote from them below. Creating an eye-catching signage for your home doesn’t have to be expensive, and with multiple customisation options and UK production you can be assured of a high quality result. We stock a wide range of signs for both homes and business, so whatever your requirements are we should be able to help. Do you have a favourite style of house sign or a question for an expert? Leave a comment below. For more home and interior design tips check our interior design section or view the homepage.